Two of my favorite pop albums of the year, actually #9 and #8 on the list I'm creating for AP.net of the best pop albums of year. I'm giving you guys a bit of a sneak peek though. Bryce Avary and his moniker The Rocket Summer has been on these lists for about a decade now. Armed with exceptional talent (he plays every instrument on the record) and extremely catchy hooks, Of Men And Angels, may not have many stand out tracks, but the almost the whole record is extremely solid. Of Men And Angels has the most religious influence of any of The Rocket Summer's albums, but it still should not isolate anyone away from the album's messages. "Hills and Valleys" is a highlight with its positive message, harmonizing piano clinks, and handclaps. In addition, other tracks to check out are "Walls", "Of Men And Angels", and "Light". 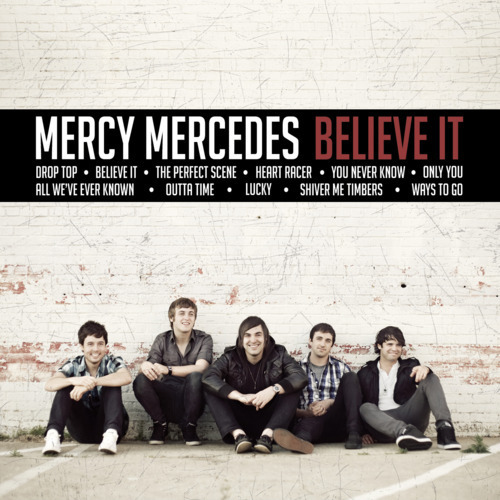 Mercy Mercedes is proof that many labels do not know how to treat their bands well or sign bands that actually deserve it. After releasing one EP on The Militia Group, the band barely released any material for two years. They left TMG, and are as of now still unsigned. Their album was supposed to be released on the Bamboozle Roadshow, leaked, and still wasn't officially released for another six months. All this happened to one of the catchiest pop bands I have heard. Just listen to "Drop Top", combining "lalalas" and a mini guitar solo and a chorus that will draw you in from the first listen. Looking for another upbeat, jumpy track? Check out "Believe It". You want a bouncy, sing-along crowd pleaser? How about "The Perfect Scene". Also check out "Heart Racer" and "You Never Know"